Genuine OASE replacement Filter Foam Set for the BioPress 6000 and BioPress 10000 pressurised pond filters. 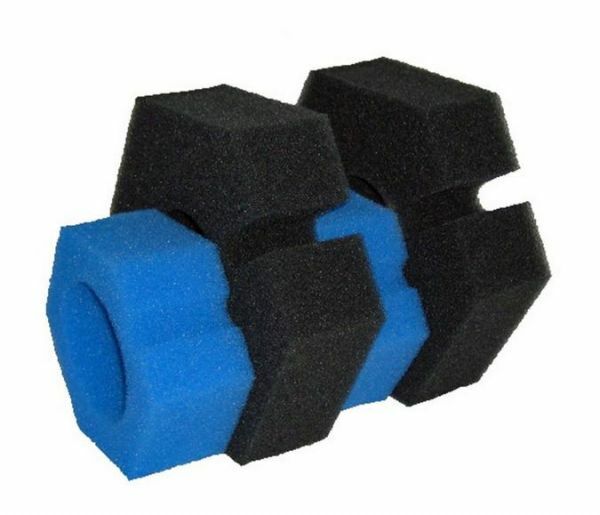 The Foam media set consists of 2 x Blue (fine grade) sponge and 2 x Black (coarse grade) sponge. The Foam Set contains one additional spare black sponge for the BioPress 6000. Water Garden only supply genuine OASE replacement filter foams. Replica foams are likely to perform poorly and affect the pond water quality.